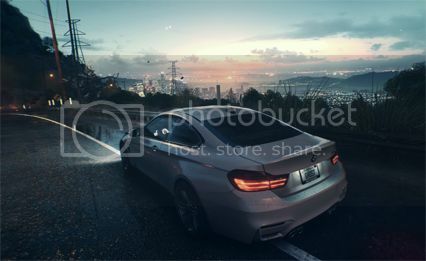 This year the Need for Speed series gets the reboot treatment, with this year’s entry simply titled Need for Speed, which is the second game to appear on the current generation of consoles after 2013’s Need for Speed Rivals. The reboot is the first to be developed solely by Ghost Games after Criterion Games decided to move on to other projects. So does this new entry fly past the chequered flag, or is it left limping towards the pit lane? Need for Speed’s graphics are stunning, although Ventura Bay residents better stock up on the Vitamin D! 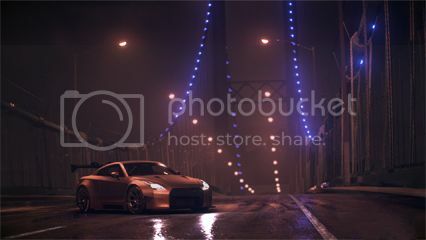 The first thing that you will notice about Need for Speed are the graphics, which are absolutely stunning. Using DICE’s Frostbite engine, the visuals are almost photorealistic, with some amazingly realistic scenery to drive around. It’s just a shame that the game is set mainly at night, although there are moments when the sun manages to briefly peek through the clouds before the city is enveloped in darkness once more. The game is set in Ventura Bay, an open world city that is based on Los Angeles. 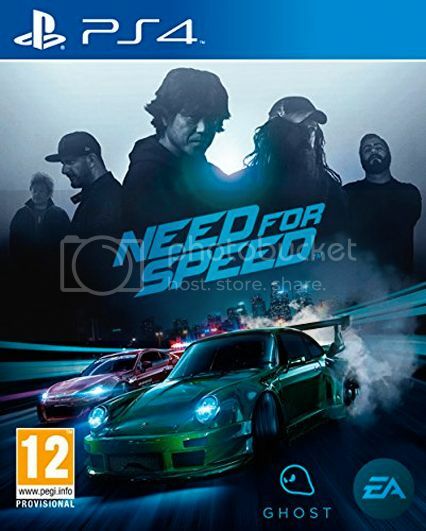 The plot sees the player and a small ragtag group of racers trying desperately to attract the attention of five real-world motorsport and street racing icons which include Magnus Walker, Akira Nakai, Risky Devil, Ken Block and Shinichi Morohoshi. The cut scenes are all acted out by real actors, who are a fairly likeable bunch (although some of the fist bumping does grate after a while). It’s no Fast and Furious style blockbuster that’s for sure. The story is decent enough, and having the actors appearing in the garage beside your own customised vehicular beast is a nice touch. There are lots of places that make ideal spots for a photo opportunity. 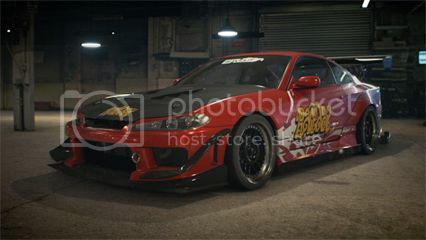 The main gameplay focus this year is on the customisation side of street racing, and there are substantial ways to customise and tweak your virtual pride and joy. Both the performance and visual aspects of your car can be changed. From choosing your tyres and nitrous boost, to creating an artistic masterpiece on the bonnet of your newly purchased Ferrari, there are almost limitless ways to hone your car to the way you want it. You can also tweak the handling of the car in lots of ways to suit your style. So if you would rather drift around corners, you can do that by moving various sliders for tyre pressure, steering response etc, that alter the main handling Grip or Drift slider. If you’re not a petrol head, you can simply just move the master slider to whatever suits your driving style. Each of your five racer friends corresponds to a different gameplay style of Speed, Style, Crew, Build and Outlaw, with each offering a different challenge that earns you points in each category, as you progress through the overlapping storylines. You compete in various events until you get noticed by the celebrity racers, and eventually face off against them. Can we lay off on the fist bumping bro? My knuckles are agony! While the racing itself is decent, a few problems prevent this year’s Need for Speed from being a great game. The AI has a nasty habit of rubber-banding into the lead if you make an error on the final stretch of a race, even if it’s the very first time you’ve put a foot wrong, which is an age old frustration that older racers used to suffer from. Also the police chases that were so tense in previous games like Hot Pursuit are far too easy to escape from, and offer no real challenge. Which is the polar opposite to the last game in the series Rivals, where the police dogged you at every opportunity. The always-online requirement will annoy a lot of people as there is no real need for it, and there were times where fellow racers got in the way during a particularly tense race, which is very frustrating. With the game needing to be online all the time, you’d think that it would be packed full of different events that you can enter with friends. Unfortunately the online multiplayer is limited, with other players in your crew able to help you earn extra rep during events, or you can challenge them to a normal, drift or overrun race. While the constant night setting looks nice, it can get a bit dreary after a while, and you long for more than the glimpse of sunlight that you get. Ventura Bay also lacks ramps to jump over, and billboards to smash through. You do have car parts to find, places to pull off donuts, and areas to take photos; but the game world just isn’t as fun or interactive as previous entries in the series. A minor niggle is the constant barrage of phone calls from your crew that harass you like a PPI telesales caller. You can modify any aspect of your car, both under the bonnet and on it. Need for Speed is a decent racer that over time, with various patches and free DLC promised, could be a great one. With the first patch targeting the annoying rubber-banding AI, and adding in neon upgrades, it’s good to see that Ghost Games aren’t resting on their laurels. The always-online aspect does seem unnecessary, and can annoy when fellow racers smash into you during a tense race, and the police are as inept as Sheriff Rosco P. Coltrane in the Dukes of Hazzard. 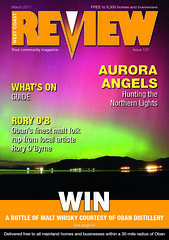 But the core racing is as solid as ever, even though it doesn’t quite reach the chequered flag at the front of the pack.